has also performed as a tribute band called "The Osaka Ramones" a hometown favorite. The band crafts simple, basic and raw songs with lyrics sung in both Japanese and English which creates a worldwide interest in this groups music with a distinguishable edgy underground garage rock sound that has gained recognition from many '90's alternative rock bands such as Nirvana and captured much attention creating an immense amount of fans around the globe as their longevity as a band has propelled them out of Japan and given the girls great opportunities to perform in many countries with several tours under their caps including the most recent tour in North America! Please make sure to check out the bands tour dates and catch a show, you will not be disappointed! Although the girls are on tour they were gracious in taking the time to answer a few of our questions. MJHR: Thank you for taking time out of your busy schedule to allow this interview with My JHouse Rocks. MJHR: Please introduce yourself to our readers and which instrument you play. Naoko: I play the guitar. Ritsuko: I play the bass. Emi: I play the drums. MJHR: Can you give our readers a brief history of your band. Naoko: I formed the band in early 80's and releasing albums and playing shows constantly. Ritsuko: I joined the band in 2008. Emi: I joined the band in 2010. MJHR: Can you describe your show, visually and musically, for the fans who have not seen you live? Naoko: We wear matching clothes and all of us sing. Our stage performance is ROCK and also the songs are pop, rock and punk with harmony. Emi: SK makes you happy! MJHR: What are some of your musical influences that helped shape the sound of your music? Naoko: I'm influenced by the Beatles and late 70's punk pop bands like Ramones and Buzzcocks. Recently I listen to 70's British Hard Rock and 70's American Rock. New album is inspired by them. MJHR: What has been your biggest challenge as a band? And have you been able to overcome that challenge? If so, how? Naoko: Every activity is our challenge. Emi: I want to make people happy and it makes me happy. MJHR: What do you think about the current music scene in Japan and Worldwide? Naoko: There are many good bands at the underground scene in Japan. 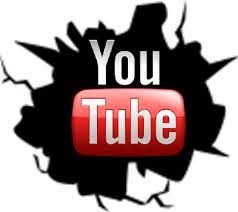 For worldwide, music scene is changing after Internet is appearing, but music is forever. Music makes me happy. MJHR: What is the worst and best place you have ever played a show at, and why? Naoko: If I choose one best city, other city's people get sad and I can't choose one. Ritsuko: The show at "Kyoto University Seibu Koudou". It was my first show as a support member of Shonen Knife. Emi: Fuji Rock Festival is the Best one. MJHR: You have toured with many great US artists in the past, such as Nirvana and Mudhoney, what were your thoughts of playing alongside them, and do you have any great memories from those tours? Naoko: I think I've never toured with Mudhoney. Anyway, it was our first long tour in 1991 with Nirvana. All members ofNirvana were so gentlemen. One day at the UK tour, Kurt (Cobain)wanted to cover my song "Twist Barbie" for their secret gig. I told the guitar chords to him and he learned very quickly. I was watching their show from the side of the stage ever night. Their shows were so aggressive and charming. MJHR: Recently the music world lost Tommy Ramone, the last of the founding members of The Ramones, and for your 30th anniversary, you released the Ramones tribute album "Osaka Ramones", which is a great cover album. What were your thoughts during the recording of the album, and could the fans see a second cover album in the future? Naoko: I just love Ramones songs. They are pop. Our record label in the US's owner Robby who is the bassist from Goo Goo Dolls gave me an idea to record Ramones cover album. Actually, we had just one show as Osaka Ramones in early 90's in Japan. Many of our fans liked us to play as Osaka Ramones again. I like to cover my favorite songs. I hope to do sometime in the future. Emi: Playing Ramones songs is fun. I hope many people listen it. MJHR: This current tour you are supporting your new album "Overdrive", and your 1000th show happened on Sept 16 in Minneapolis/St. Paul, MN, what skills/personal attributes have you found to be important for you becoming successful as a musicians? Naoko: I don't know we are a successful band or not but I just like music and I want to make people happy through our music. I just keep on rocking. Emi: Having fun is the most important for me. MJHR: Thank you once again for allowing this interview and I cannot wait to see your live event in Houston, Texas! Be sure to check out Shonen Knife on their 2014 Overdrive North American Tour Sept 11-Oct 21! 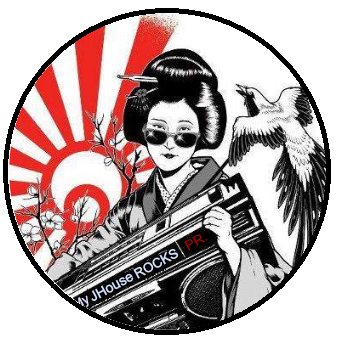 My JHouse ROCKS Promotions Inc.